Briggs & Stratton EXi Series Engines, the first walk-behind mower engine featuring Just Check and Add™ so you'll never need an oil change-ever. 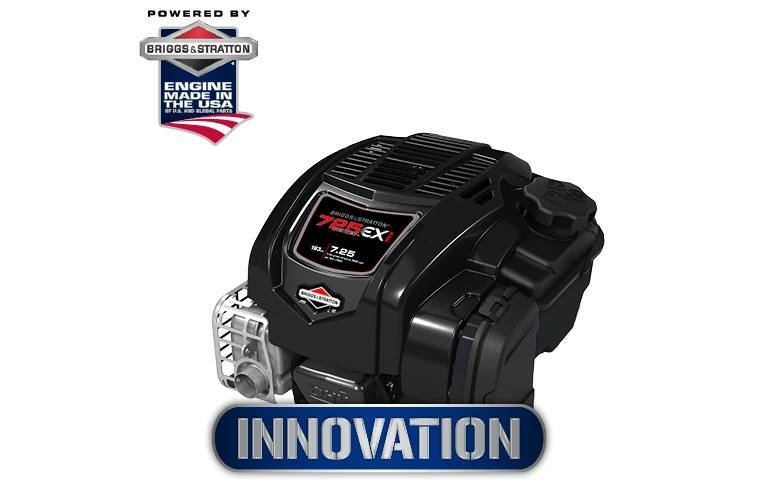 Redesigned from the ground up, EXi Series Engines are lightweight and easy to maneuver, have tool-less access for easy maintenance, and come equipped with the ReadyStart® Starting System with no prime, no choke-just pull for power. Powerful, durable, easy to use and easy to maintain. EXi Series Engines: Never Change the Oil. Ever. Just Check and Add. Never Change the Oil! : The first gas-powered engine to never need an oil change, just simply check and add oil for the life of the engine. ReadyStart® Starting System: See how easy engine starting can be. No prime, no choke–just pull for power. Super Lo-Tone™ Engine Muffler: A quieter lawn mowing experience. Optional: InStart® Lithium-Ion Electric Starting: The world's first lawn mower engine to combine the power of gas and the starting reliability of lithium-ion battery technology.